More than a century ago, Atlantic Salmon were commonly found in Lake Ontario and its rivers. With European settlement came an increase in negative impacts on aquatic habitat such as deforestation, pollution and construction barriers. As a result, the Atlantic Salmon population drastically decreased and by 1898 they were extirpated (locally extinct) from Lake Ontario. 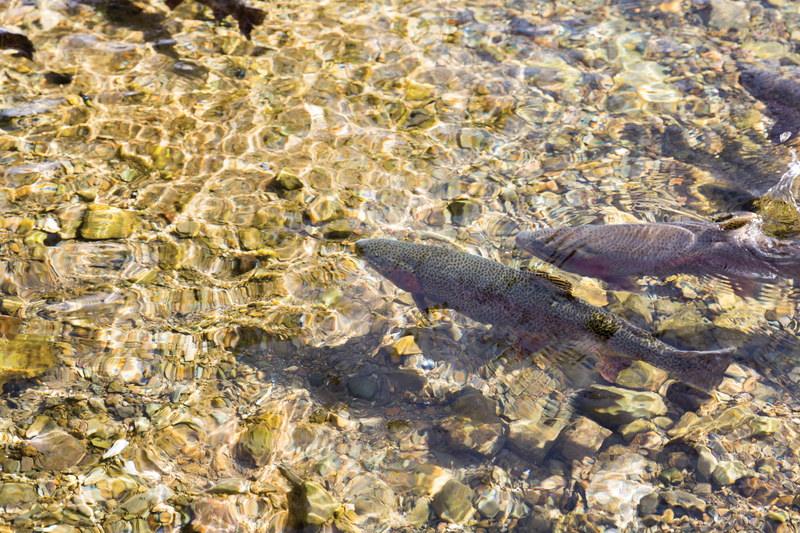 Throughout the century, Chinook and Coho Salmon were introduced to Lake Ontario to enhance recreational fishing and can now be seen in large numbers in the GTA’s rivers during fall migration. In 2006, Lake Ontario water quality and habitat improvements allowed the initiation of an Atlantic Salmon restoration program known as Bring Back the Salmon. 1898 Atlantic Salmon extirpated from Lake Ontario as last confirmed fish caught off the Scarborough shoreline. 1990 Large numbers of Chinook and Coho Salmon discovered in the North shore tributaries of Lake Ontario, a result of intense stocking programs throughout the 1900s. 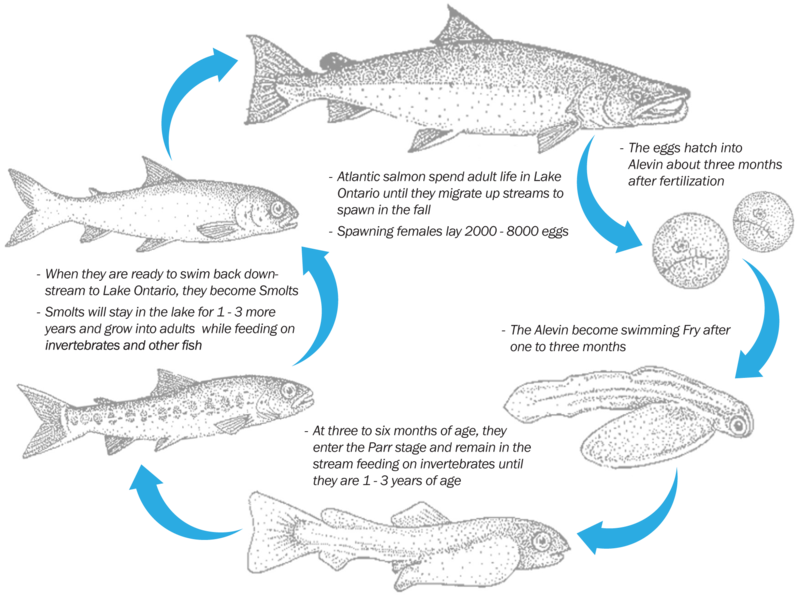 2006 Full-scale Atlantic Salmon restoration program begins in Lake Ontario streams. 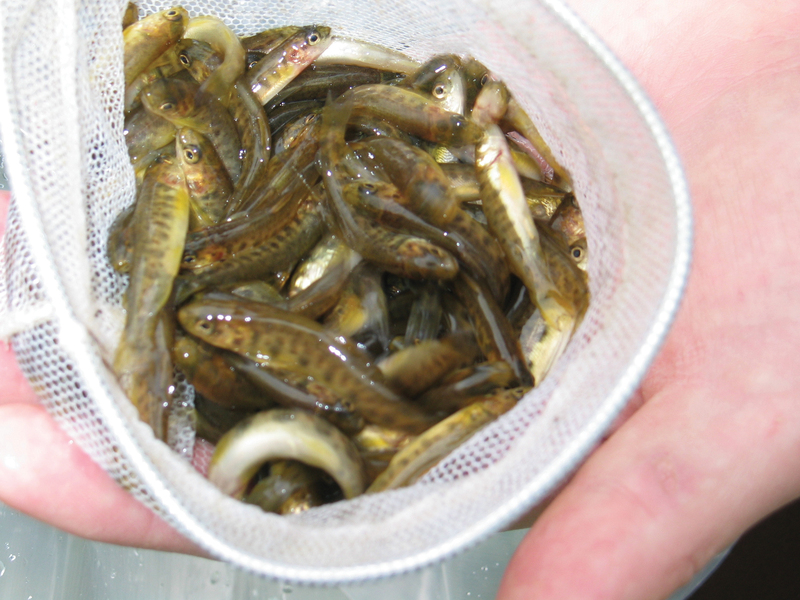 2011 Atlantic Salmon restoration on the Humber River begins with the stocking of 100,000 fry. 2017 Toronto and Region Conservation Authority (TRCA) records the largest Atlantic Salmon to be surveyed in the last 28 years (15 pounds) during their Lake Ontario fisheries survey. Salmon are grown in a hatchery and then released into local waterways. The Classroom Hatchery Program is offered by the Lake Ontario Atlantic Salmon Restoration Program to over 100 schools and other educational facilities from Hamilton to Kingston. 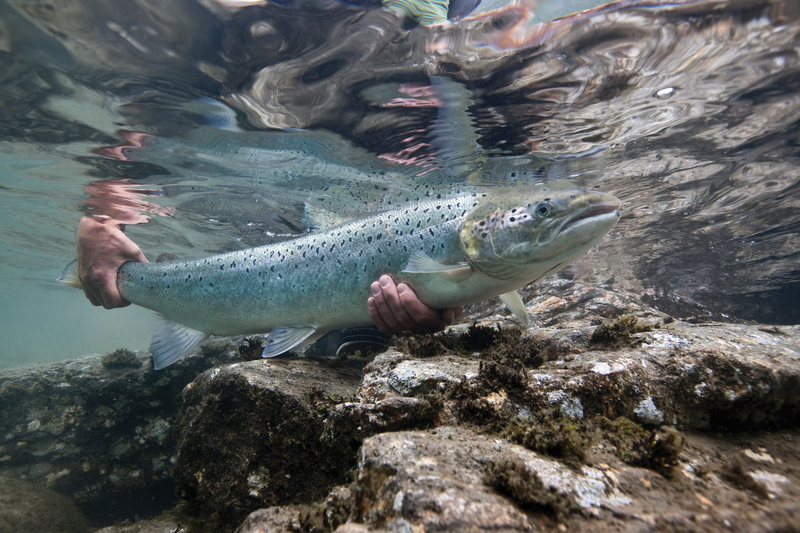 The Ontario Federation of Anglers and Hunters (OFAH), the Ontario Ministry of Natural Resources and Forestry and many other partners are working to bring Atlantic Salmon back to Lake Ontario. The program has four major components: fish production and stocking; water quality and habitat enhancement; education and outreach; and research and monitoring. 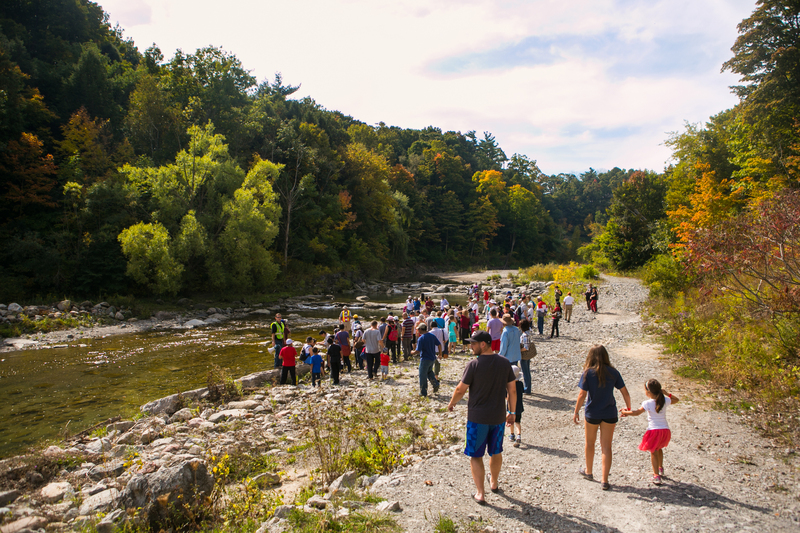 Learn more about Toronto and Region Conservation Authority’s annual salmon festival.